Washington, D.C. – With just days before Election Day, Small Business and Entrepreneurship Council (SBE Council) experts are available to discuss the presidential election, the economy, and the first 100 days of the next Administration. 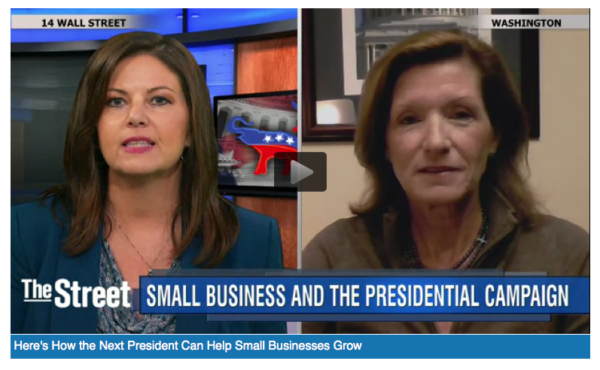 From Home Business Magazine, Karen Kerrigan addresses the major concerns of the American small business community this election season – and the agenda for the next president during his or her first 100 days. • What are the major concerns and fears of the American small business community this election season? • What are the major differences between the two candidates? • In the remaining days of the election, what should the candidates focus on? • During the first 100 days of the next Administration, what are the major issues that should be addressed? In the first 100 days, the new president and Congress can work together to address several bipartisan issues that can support the small business community. SBE Council has also released small business snapshots of candidates Secretary Clinton and Mr. Trump.